Oreninc provides consulting and advisory services for resource companies, investors, and law firms on corporate structuring, due diligence, restructuring, and investor relations. In addition, Oreninc uses its proprietary database, the Oreninc Deal Log, as a foundation to perform bespoke custom research. 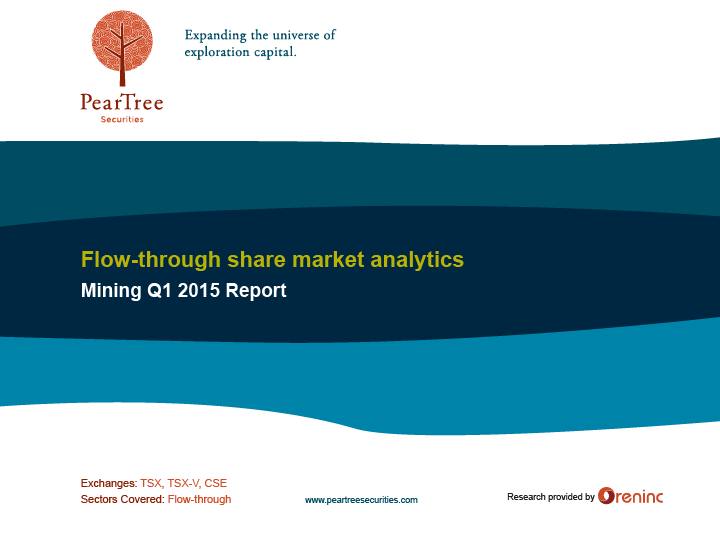 The PearTree Securities sponsored report outlines the state of the flow-through market providing comparative market analytics to Q4 2014. This report displays current comparative data for flow-through share financings to the end of 2014. 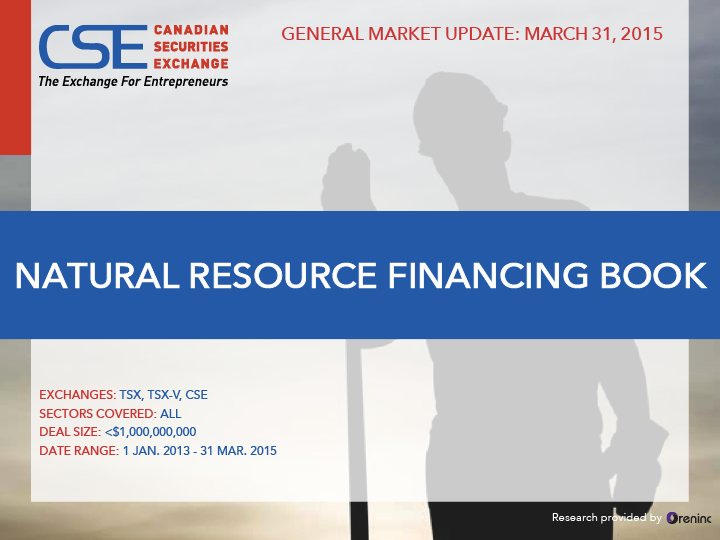 This report displays current comparative data for flow-through share financings to the end of 2014 - Canada’s mineral industry perseveres in a tough economic climate. Everything you wanted to know about flow-through share financing but were afraid to ask. The PearTree Securities sponsored report takes a fresh look at the state if the flow-through market. The Natural Resource Financing Book captures data from 2012 to 2014 and aggregates it into a comprehensive format, allowing for comparison between last quarter, the rolling year, and previous years to see which sectors are being financed and which brokerage houses are financing them. The CSE is a service-oriented exchange built for today’s economy--especially for emerging exploration and mining companies where every dollar raised counts. On the CSE, entrepreneurs spend less time managing their listing, and more time focused on growing the company’s value for shareholders.